Jbohn, SeIowa69, Obsessed and 4 others like this. Bdahms had a pretty sweet room before he had to redo it. Look through his thread somewhere on here. Zipper, Sligh1, SeIowa69 and 10 others like this. I was just hoping this wasnt one of THs 3 minute snap videos of his room at his parents again. TLHAWK, msauer933, MadisonB&C and 7 others like this. 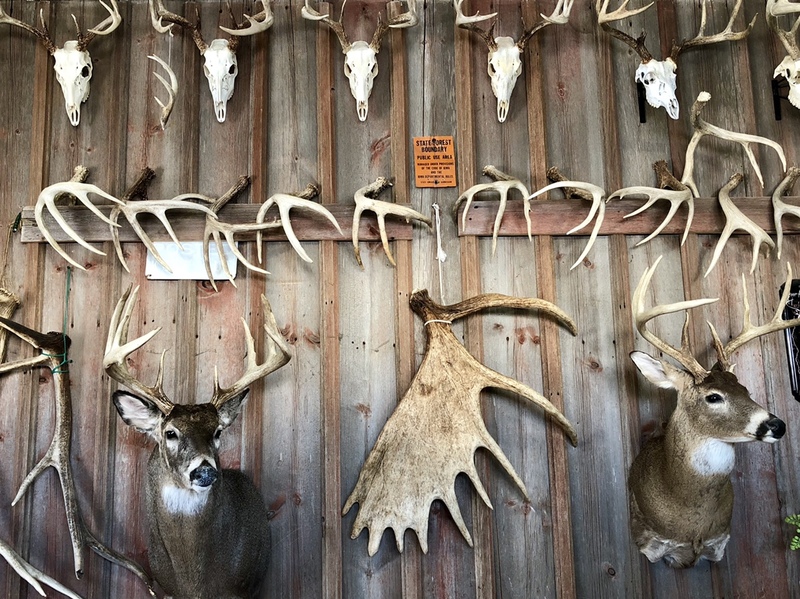 I did a pallet wood wall on one side of my trophy room. I prefer wood cuz you can hang your mounts anywhere. The rest of my trophy room is a work in progress, so it's just a big mess right now. Need more time to build furniture and use up the barn board I have sitting around. Sligh1, SeIowa69, Obsessed and 3 others like this. Love the pallet wood / barn wood walls !! Keep em coming guys !!! Sligh1, Obsessed, Hardwood11 and 6 others like this. My padded room when I get grounded. You wanted one in cedar. I did this one last winter. Sligh1, Kaleb, Obsessed and 4 others like this. 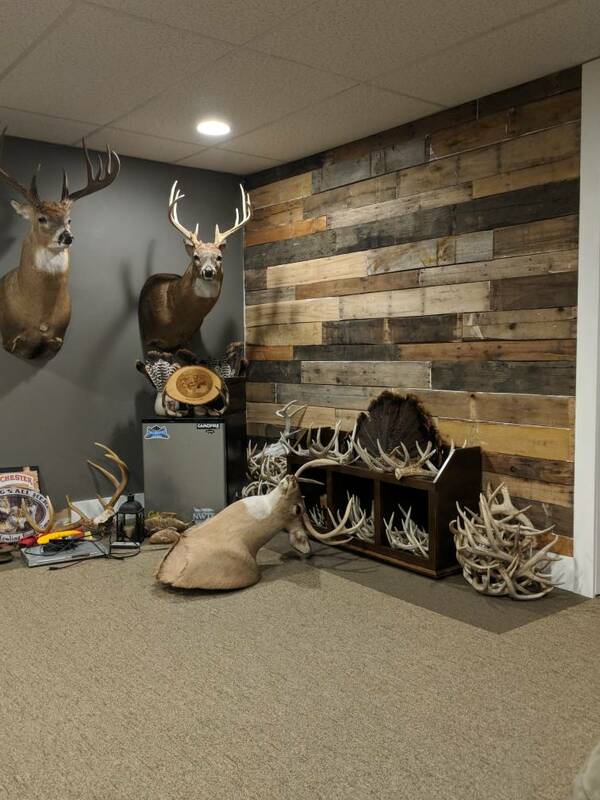 My office wall ... knotty pine with Iowa-milled walnut as my centerpiece. Sligh1, Kaleb, goatman and 3 others like this. Sligh1, Rjack, Obsessed and 4 others like this. This is my office about a year ago. I've added 2 Euros and have another to add once I get it back, since this pic was taken. Maybe one of these days, once the kids are out of the house, I'll get my own man cave. I love the look of the ones that have been shared in here. Sligh1, deep woods goat hunter, fatboy and 2 others like this. Sligh1, Jbohn, deep woods goat hunter and 4 others like this. 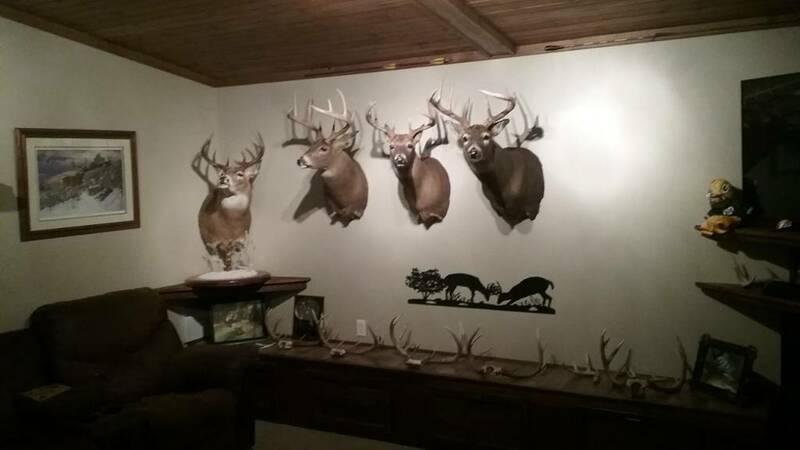 I need more mounts and a room to dedicate to them! How long did it take to paint ceiling/rafters? It would've taken days with a brush/roller but my patience would've given out long before I could finish. A $100 wagner paint sprayer and I was done in a couple hours. Keep in mind the basement was completely unfinished when I started so I was able to pretty much able to go full tilt and not worry about any overspray. Spraying basement awsome idea thanks !!! !